Vibe-V Greens Roller — True-Surface® by Turfline, Inc. When you choose the True-Surface® Vibe V™ Vibratory Greens Rollers, you are choosing a revolutionary, multi-tasking turf roller. The adjustable vibratory action allows you to roll for turf health, speed, and consistency, while also letting you vibrate in-sand topdressing, remove dew, and smooth the greens after core aerification. So how does vibration work? Imagine putting a pile of soil or sand in the middle of a tray and then trying to spread that pile out evenly across the tray. Would you smash the pile with your hand or would you shake the tray to efficiently even out your pile? Using vibration to shake out your pile of soil or sand gives you a consistent surface. 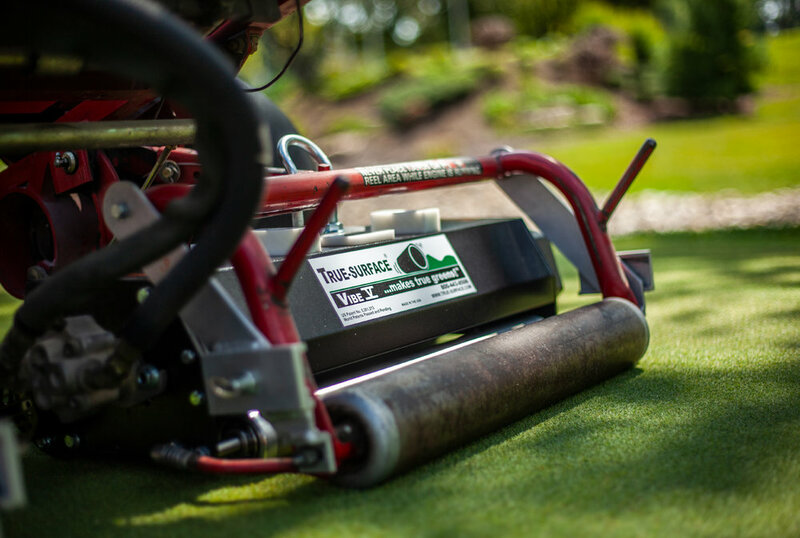 Only True-Surface® Vibratory Rollers’ patented selectable vibration utilizes rubber isolators to guide the vibration directly into your greens and out of your turf maintenance equipment. Furthermore, using the Select-A-Vibe™ feature, you can select the level of vibration you desire – choose from setting 1-5. No other roller on the market allows you to choose your energy level. 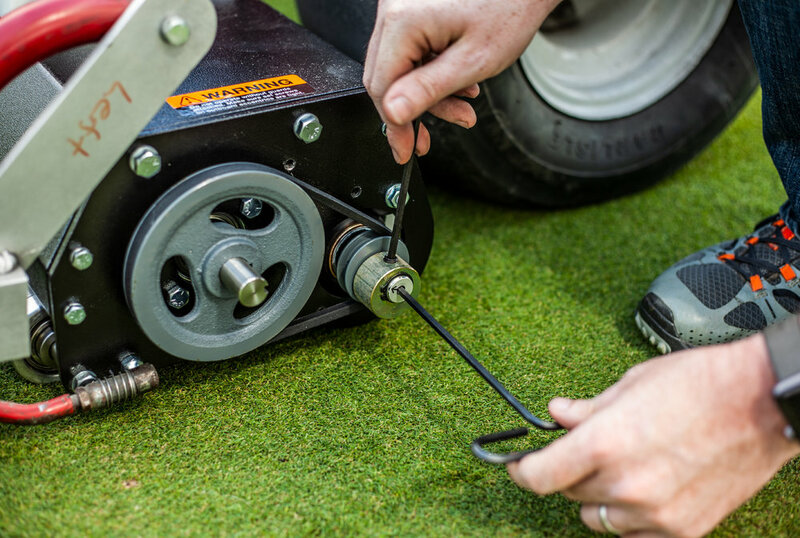 Give you control – select the amount of vibration to release into your greens using our patented Select-A-Vibe™ Dial. Vibrate 45% more topdressing into the root zone than brushing alone. Raise your mowing height of cut. Are safe to operate – no training necessary. Don’t waste time and money on training staff members to operate new equipment when you can simply attach vibratory greens rollers to your existing triplex mower.